Waste is a concept of humans, in nature there is no waste. 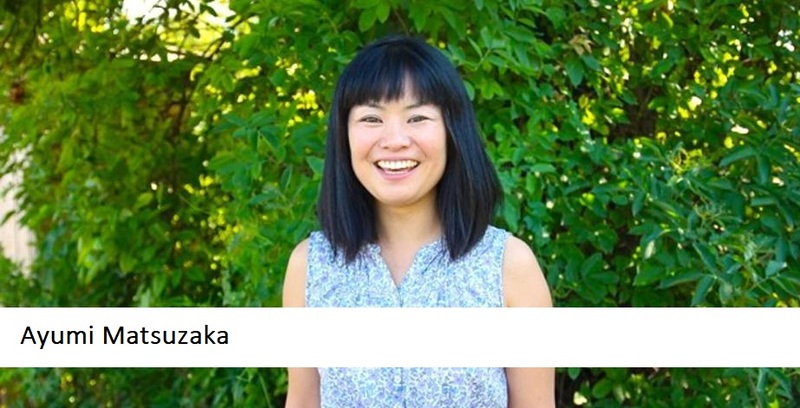 Inspired by this thought, Ayumi Matsuzaka founded Dycle. With this start-up, she attempts to go against the 500,000 tons of diaper waste that is created in Germany. In Berlin, she started creating communities of mothers, collecting diaper waste and turning it into black humus– a soil fertiliser that traps the C02 inside it. I visited her in Berlin where she told me more about this unique project, the connection to nature, and how valuable diapers are! As a freelance artist, Ayumi, together with a soil scientist, was involved in a body-based nutrient-cycle art project. The first step of this project, was to eat a salad and to collect her own, and some farm animals’, body waste. This waste was then used to create ‘terra preta’, a very fertile soil. In this soil, she grew different kinds of vegetables, like radish. Almost one and a half year later, she was able to make a new salad. A salad, she herself was a part of. This experience of being part of the nature was an eye-opener for Ayumi and she wants to share this experience with as many people as possible. Therefore, she has decided to scale up, as an artist but especially as a business entrepreneur. 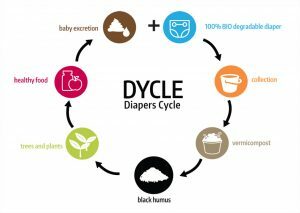 That was the start of Dycle; where diapers are included within the cycle of nature. For the production of disposable diapers, crude oil is used. On average, a baby needs 4,500 diapers before they are fully toilet-trained. According to the estimations of Dycle, that is around 1,400 litres of crude oil, for just one baby. In Germany there are around 2 million families that need diapers, you can do the math. In the end, all the diaper waste goes into the incineration plants, creating (in Germany alone) 500,000 tons of waste and high amounts of CO2 and methane emissions. With Dycle the aim is to lower the amount of this waste by transforming it into something valuable instead. 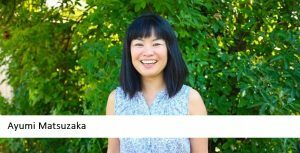 Ayumi began her new enterprise in Berlin, creating a community of mothers dedicated to collecting diapers. These mothers put the diapers into a bucket with charcoal, which neutralises the smell. After collecting the diaper-buckets, its contents are used to create black humus, which substantially increases the nutrients within the soil. Subsequently, nut trees and fruits are grown in this fertile soil. In future stages, Ayumi envisages the growth of a large variety of fruit trees that can be used for making baby food within the same communities, thereby completing the cycle. One of the goals of the community is to work together and to learn about nature. It is about understanding the cycle of nature. We live in a society where we throw away so much garbage, without realizing where it goes and what the consequences are. With Dycle, Ayumi aims to reconnect people with nature, in a local way. She emphasizes that it is very important to make sustainable options more fun! People need a more physical experience, according to Ayumi. Do you want to know more about this unique start-up? Visit their website or watch the video of Ayumi’s one year art project below. Meer lezen van dit? Misschien vind je ‘Circular City making through WASTED’ ook interessant!